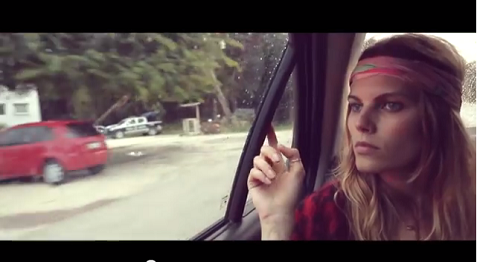 Here’s a great new music video featuring Victoria’s Secret model Maryna Linchuk shot in beautiful Tulum, Mexico. Maryna looks amazing in this video as you can see in the screen shots above. The track is Mr. Probz “Waves (Robin Schulz Remix)”, which was recently released by Ultra Music. It has a great beat and a very chill vibe that fits the exotic location of the video perfectly, and of course adding Maryna makes it even better. You can purchase the track here. Mr. Probz grew up outside of Amsterdam and has made quite a splash with “Waves” as DJs around the world have been playing bootleg remixes of the track even before its official release. You can follow him on Facebook and Twitter. If you talk to die-hard Bruce Springsteen fans, many of them will list “Incident on 57th Street” as one of their favorite Springsteen songs. The song leads off the second side of Bruce’s second album, “The Wild, the Innocent & the E Street Shuffle” released in 1973, with “Rosalita” and “New York City Serenade.” The jazzy sound of these songs was dominated by the incredible piano playing of David Sancious who preceded Roy Bittan in the E Street Band. The live version in the video above was released as a B-side in the mid-Eighties when Springsteen released his first live album, but I can’t find it anywhere on iTunes or in a legal digital format. It’s by far the best live version I’ve heard of this song and it features an excellent and mellow guitar solo by Bruce at the end that’s much better than the solo on the original recording. This fan video was created by a Springsteen fan on YouTube who has posted a number of excellent Springsteen videos. He mashes up concert footage and other Springsteen footage to create visually interesting interpretations of the songs, and he translates the lyrics into Spanish subtitles. This is probably my favorite Green Day song. A friend just tipped us off on this band after seeing them at The Music Hall of Williamsburg. Check out this live video from A Place to Bury Strangers.